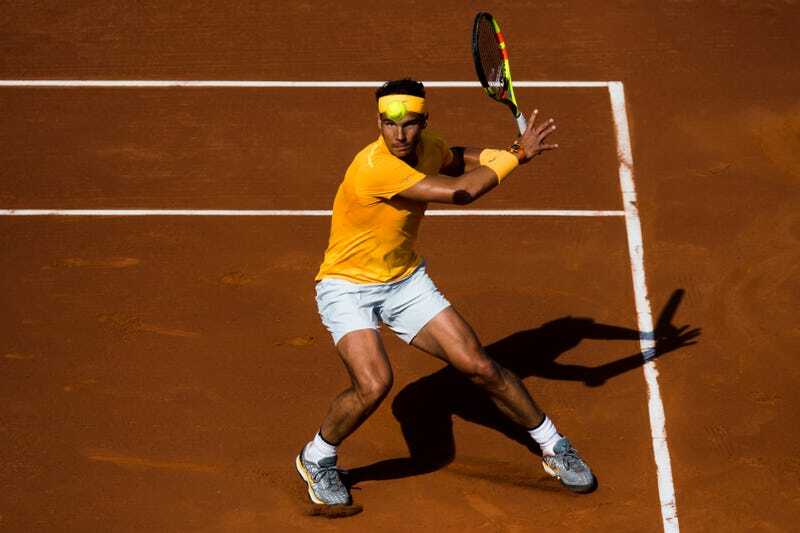 Rafa has had broader and more brain-melting streaks—from 2005 to 2007, he won 81 straight matches on clay, an all-time best on any one surface—but this particular record tracks the wholesale genius and sustained focus required to not even drop a set. There are a lot of sets out there. It doesn’t take a whole lot of inattention to drop one. Just one glitchy service game somewhere in there, a spat of dehydration, an itch, an ache, whatever. In any case it hasn’t happened in the last 16 matches. Rafa Is About To Do This All Over Again, Isn&apos;t He?